Bridget Truxillo joined The Cheek Law Firm as a well-seasoned attorney advocating for clients in the areas of personal injury, products liability, toxic torts, wrongful death and asbestos litigation, including specialized scientific and medical issues involved in toxic exposure lawsuits in asbestos and pharmaceutical related injuries. Bridget brings a unique perspective to asbestos litigation and is able to provide information and insights critical to success for her client’s case. With a unique combination of business, law enforcement & legal experience, Bridget develops factual building blocks vital for strong legal cases. Along the way, Bridget has helped her clients recover several millions dollars in settlements. Her career began in the public sector serving as a Deputy Sheriff in Florida, where she was an investigator in the Narcotics and Organized Crime Unit (NOCU) and the only female member of the SWAT team. Bridget graduated from University of Florida with a B.S. and from St. Thomas University School of Law with a J.D. In addition, Bridget is a Certified Fraud Examiner (CFE). Bridget it tenacious when it comes to investigating her client’s claims, and her investigative background and certifications lend themselves favorably to that tenacity. 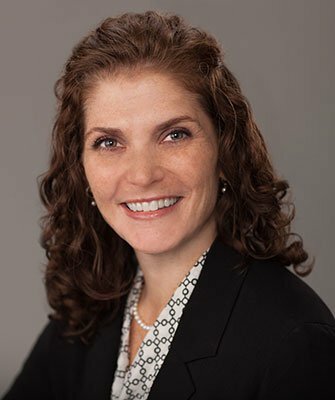 Bridget’s current practice centers in Louisiana, and she has also litigated extensively in numerous other jurisdictions, including Texas, Florida, New York, Delaware, Illinois, Missouri, Pennsylvania and New Mexico. Drafted and effectuated many search warrants and arrest warrants. Bridget is licensed to practice law in four states: Louisiana, Florida, New York and Texas. She is a member of the State Bars of Texas, Louisiana, Florida and New York. She is also a member of the Houston Bar Association, the Houston Trial Lawyers Association, and the Association of Certified Fraud Examiners. When Bridget is not working, she enjoys creating memories, and spending time with her husband and three children. She also enjoys walks outside and power yoga as often as possible.